"Norman's Woe" is the picturesque name of a rocky headland, reef, and islet on the coast of Massachusetts, between Gloucester and Magnolia. 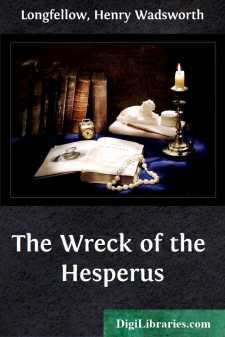 The special disaster in which the name originated had long been lost from memory when the poet Longfellow chose the spot as a background for his description of the "Wreck of the Hesperus," and gave it an association that it will scarcely lose while the English language endures. Nor does it matter to the legend lover that the ill-fated schooner was not "gored" by the "cruel rocks" just at this point, but nearer to the Gloucester coast. The poet has done many things well; and he has done few things better than this ballad in the quaint, old-time style, with its nervous energy and sonorous rhythm, wherein one hears the trampling of waves and crashing of timbers. Indeed, it is so well done, by art concealing art, that much of its force and beauty escape the careless reader; whereas, the thoughtful one finds in it an ever-increasing charm. It is worth noting that love, the usual ballad motif, is absent and is not missed. The almost human struggles and sufferings of the vessel, and the contrast between the daring, scornful skipper, and the gentle, devout maiden, in the midst of the terrors of storm and wreck, furnish abundant emotion and imagery; in truth, many of the lines are literally packed with color, movement, and meaning. ILLUSTRATIONS BY H. WINTHROP PIERCE,EDMUND H. GARRETT,J.D. WOODWARD,W.F. HALSALL,W.L. TAYLOR,A. BUHLER,H.P. BARNES,A.J. LEWIS. DRAWN AND ENGRAVED UNDER THE SUPERVISION OFGEORGE T. ANDREW.